These Microsoft Surface Pro Holders can be used with the whole range of Daessy Mounts (Standard Series, M-Series, Lite Mounts, Floor and Desk Mounts). RCT-MSP2. This holder for the Microsoft Surface Pro 2 enables secure connection to a DaeSSy Quick..
RCT-MSP3. 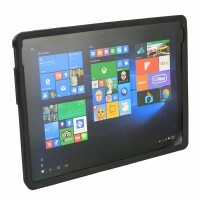 This holder for the Microsoft Surface Pro 3 enables secure connection to a DaeSSy Quick..
RCT-MSPU: This holder for the Microsoft Surface Pro 4, 5 and 6 enables secure connection to a Dae..
MSP-EYE: Turn your Microsoft Surface Pro tablet 4, 5 or 6 into an eye gaze controlled tablet with..